We went to a sing-a-long two weeks ago at Disney Hall and Julie Andrews was a special guest. Of course, she sang (and we sang-along) “My Favorite Things.” Afterward, I got to thinking if there was one book I had read in 2012 that I could call “my favorite book.” I asked Natalie and William the same question. 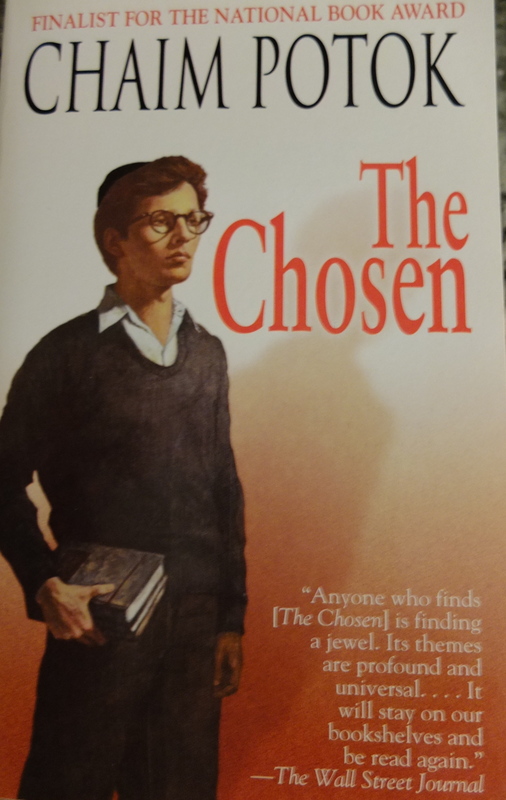 NATALIE: My favorite novel was The Chosen by Chaim Potok. This was my favorite novel because the themes of friendship, family and being one’s self (instead of what you’re supposed to be) are woven together into a thought provoking and moving story. Set in 1945, the book also deals with the tensions between history and the modern world — tradition and modernity shape the two main characters’ lives, causing personal and familial conflict but also inspiring a deeper understanding of the world for both the characters and the reader. One of my favorite moments in the story: the main character’s teacher, a Rabbi, asks questions and calls on students individually to present an answer. The main character is not called on for months and begins to wonder why the Rabbi hasn’t yet asked him a question; he decides to thoroughly study so that he will be fully prepared when it is finally his turn. When the main character is called on, he is so prepared that his answer takes three classes to fully explain and the Rabbi doesn’t interject once! I love the Mary Russell series! The books are in turn exciting, intellectual, hilarious, mysterious, and never fail to be wholly enjoyable. I always learn something over the course of devouring one of the multi-layered mysteries that span multiple countries (India, Palestine, Morocco) and numerous subjects (beekeeping, theology, archaeology). Mary Russell is delightful company over the course of these literary journeys, forever smart, honest and witty. 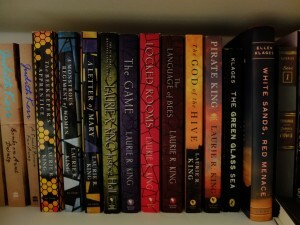 Wonderfully written by Laurie R. King, the Mary Russell series was not only a favorite of mine in 2012, but will be always. 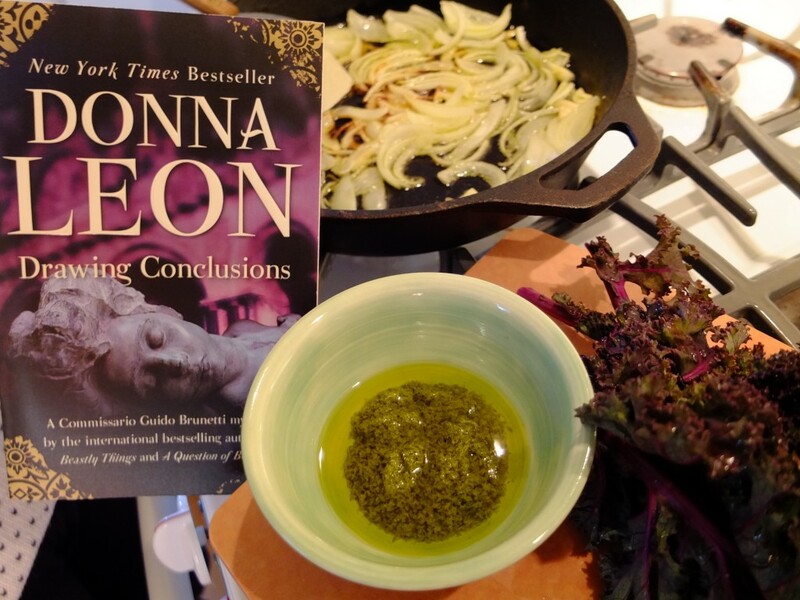 PAMELA: William and Natalie don’t want me to stop reading my current favorite crime novel series — Donna Leon’s Guido Brunetti novels set in Venice, Italy — because I am inspired to cook every dish Guido puts his fork into. I love Guido Brunetti, who delves deep into intriguing cases that end up exploring not just crime, but history, art, politics, finance, literature and philosophy. He also has a wonderfully interesting wife, Paola, who is a professor of American literature at the university. Their mutual respect and appreciation for each other, which doesn’t mean that they don’t have their occasional arguments, is nice to witness. Paola, Guido, and their two teen-aged children eat delicious lunches that Paola concocts in the kitchen of their apartment. Here is a bit of of background on the genesis, journey & ultimate publication of this remarkable book: By the early 1940s, when Ukrainian-born Irène Némirovsky began working on what would become Suite Française—the first two parts of a planned five-part novel—she was already a highly successful writer living in Paris. But she was also a Jew, and in 1942 she was arrested and deported to Auschwitz: a month later she was dead at the age of thirty-nine. 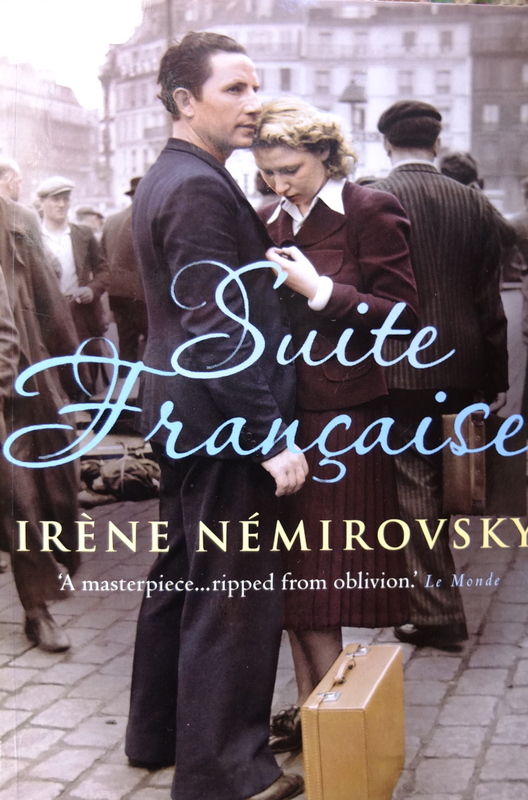 Two years earlier, living in a small village in central France—where she, her husband, and their two small daughters had fled in a vain attempt to elude the Nazis—she’d begun her novel, a luminous portrayal of a human drama in which she herself would become a victim. When she was arrested, she had completed two parts of the epic, the handwritten manuscripts of which were hidden in a suitcase that her daughters would take with them into hiding and eventually into freedom. Sixty-four years later, Némirovsky’s literary masterpiece was published. 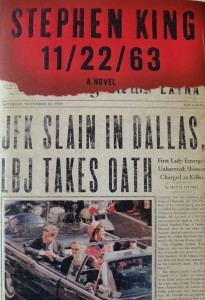 Stephen King’s 11-22-63 was probably my favorite. It’s a page-turner and I was intrigued by the concept of trying to change time and events. 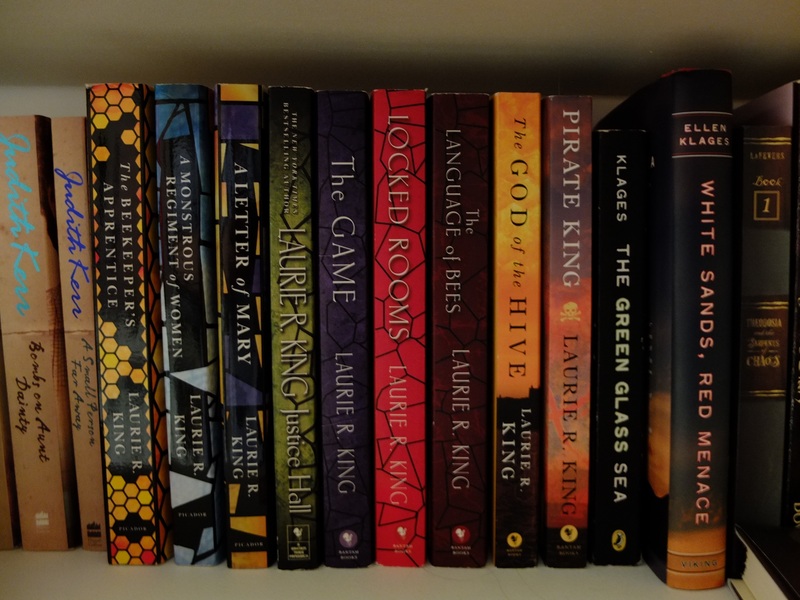 In King’s book, the universe fights to maintain what has happened so that trying to change events, even when seemingly given the opportunity, is difficult. 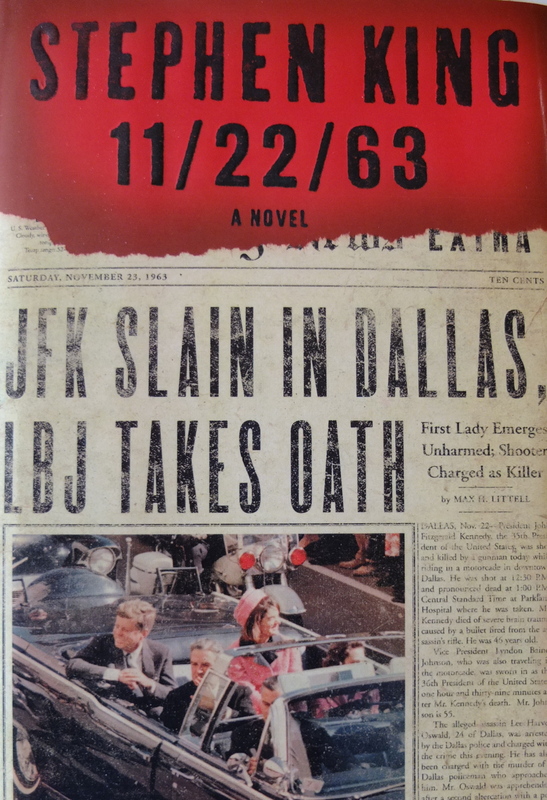 The story is about going back in time and attempting to change what happened, mainly preventing the assassination of President Kennedy. And, it turns out, the past fights to maintain its integrity as if time were a living entity. Although it might sound like a science fiction story, it is not. The idea is handled brilliantly, because Stephen King is a talented writer and tells a riveting story with well-developed characters.